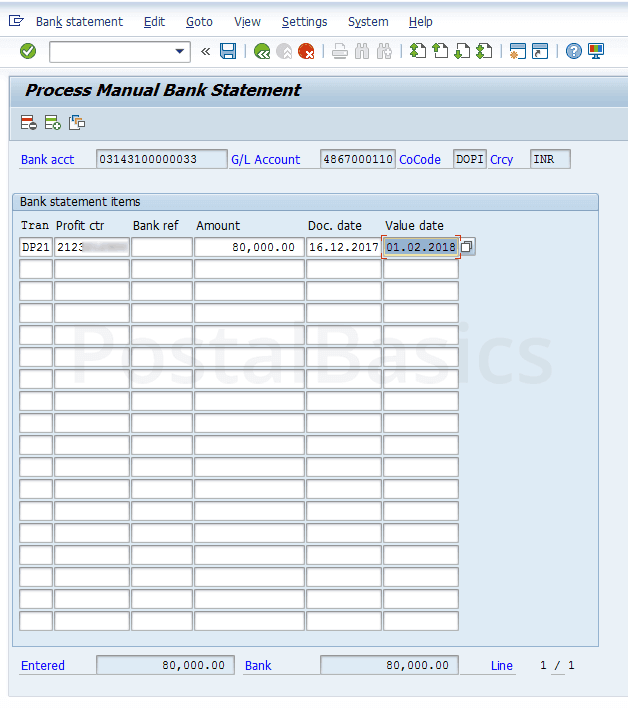 The first step in bank reconciliation is checking the date and the amount of realization of the cheque with respective to the concerned offices. We should use the t-code FAGLL03 for the above process. Go through the article linked below to know the use of the t-code FAGLL03. You will get a list of remittance or drawn of that office. For reference, you can see the below image. I have taken the example of Remittance from November to January. Note down the date of realization of the respective amounts. Once you have confirmed the amount and date on this list, you can go to the second step. Enter the T-code FF67. The following screen will appear. Click on Overview. The next screen will appear. Here you can find the names of the banks along with Bank key and Account number. 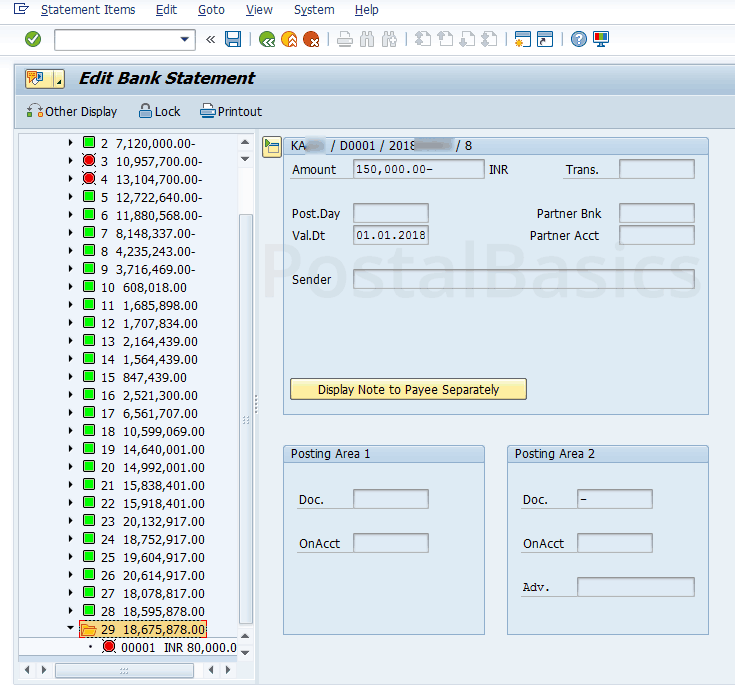 Select and double click on the respective bank name which is linked with that particular office. 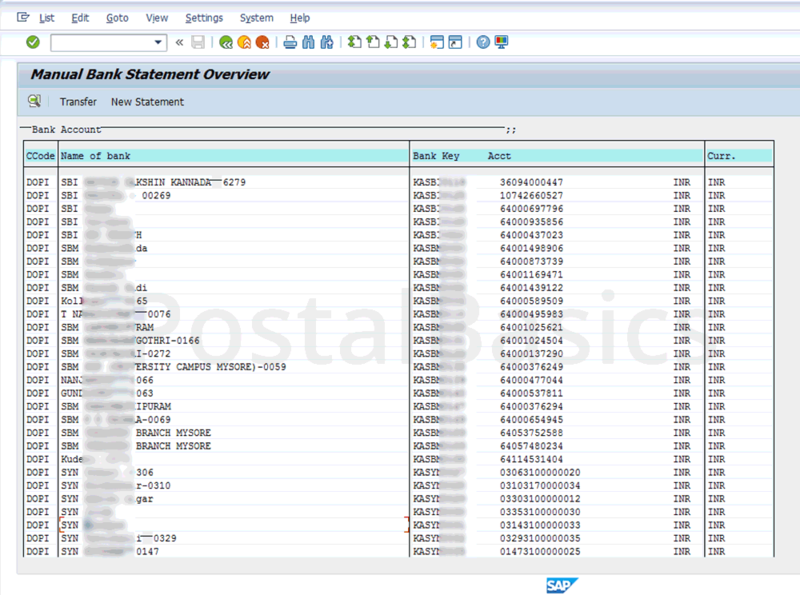 Here change the Statement Date and Posting Date to any previous dates (For eg. If you are doing reconciliation on 21.2.2018, then you can enter the date as 1.2.2018 which is almost month prior to current date). Check the option Bank postings only. In the bank scrolls provided by Banks, you will find receipts and payments. 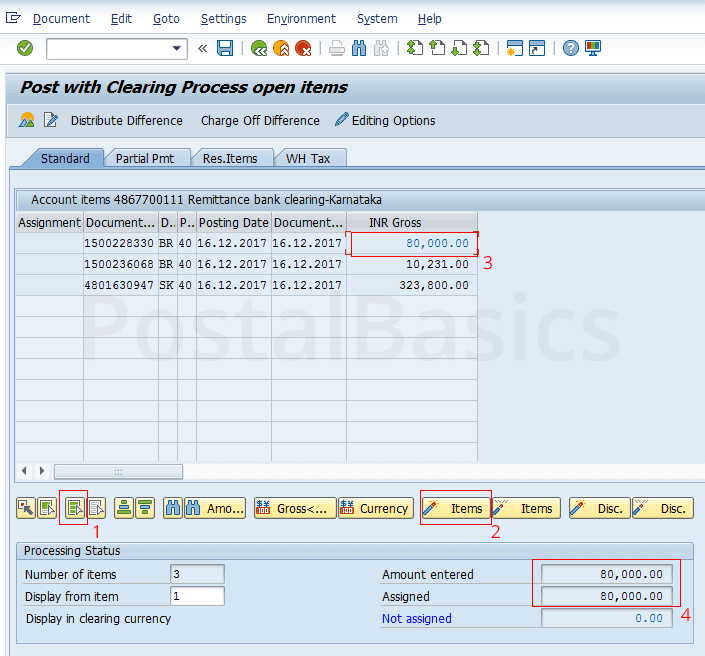 If you are doing receipts, then add each receipt amount to the Opening Balance. The added amount should be the Closing Balance. If you are doing payments, then the total amounts of payments should be subtracted from opening balance and that should be your closing balance. 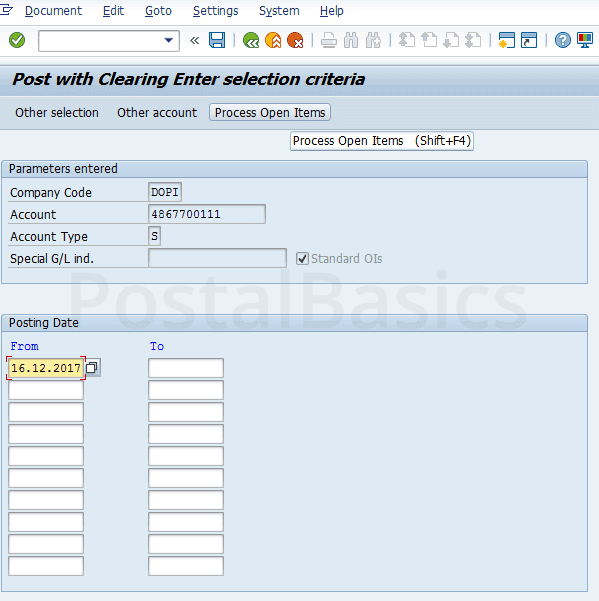 Once you have entered the value in the Closing Balance column, hit the Enter button. The following window will appear. For instance, in the following example, I have taken the receipt scroll of our SO. The remittance amount is 80,000. In our example, is only one entry. In your case, there can be multiple entries. 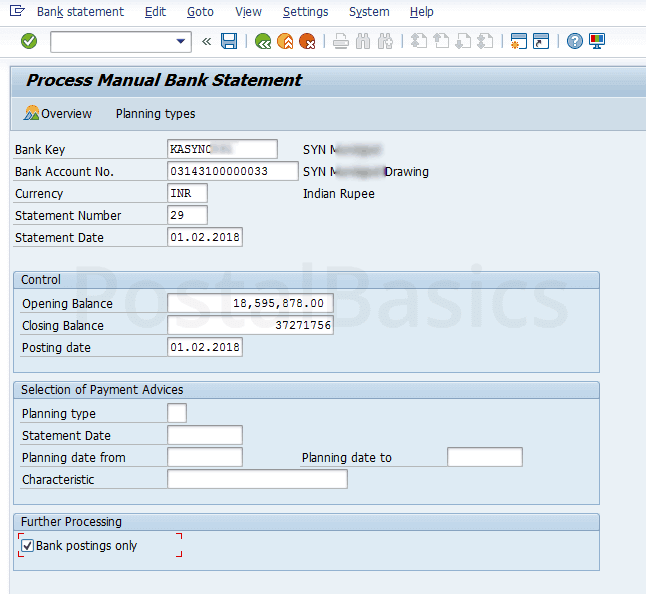 Once you have filled in the column, press the enter button till the Entered and the Bank amount should be equal. 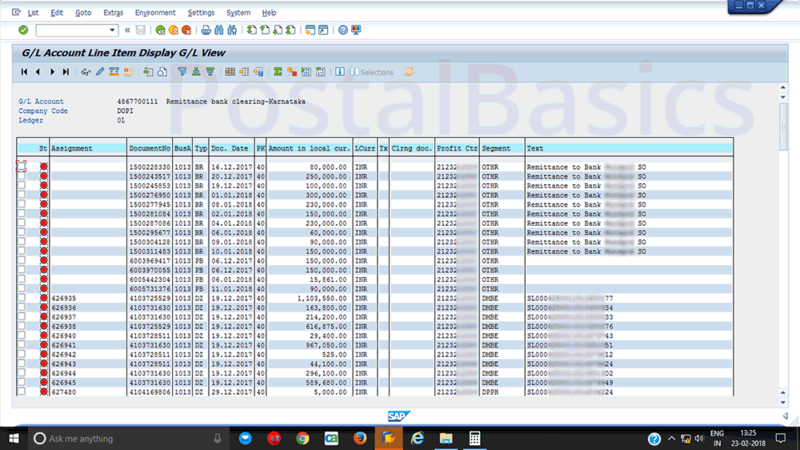 If you are reconciling payment scroll then, the amount should be followed by a negative sign(For eg 80000-). Again click on SAVE button. The below window will be shown. Once again click on SAVE button. Again you will see the same window. So you have to click on SAVE button 3 times. Thus 2nd step will be completed. Enter the T-code FEBAN. The below window will appear. 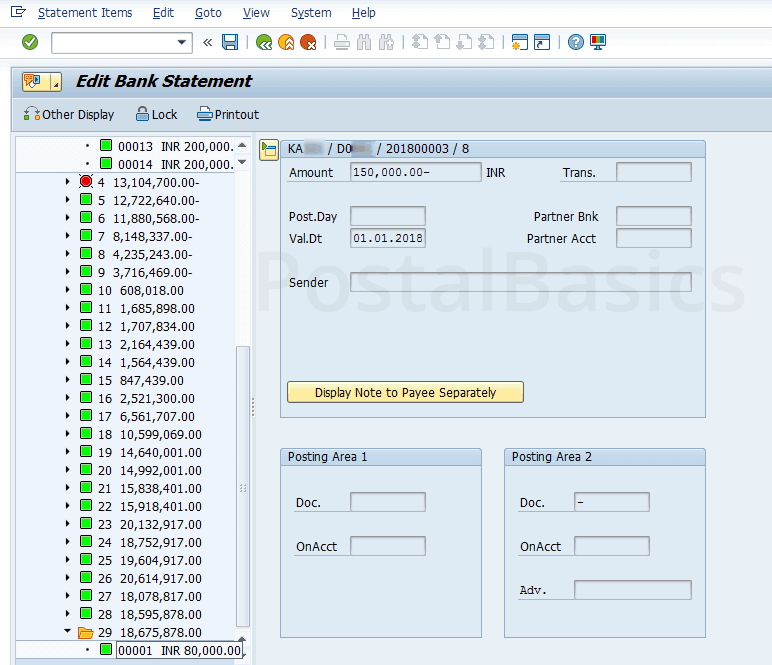 In the list of closing balance, some values are in green and some are in red color. The fresh list which is entered in the last step will be at the bottom. Click on that folder and the amount will be shown in red color (0001 INR 80,000). Now, select that value and click on Save button at the top. The below screen will appear. 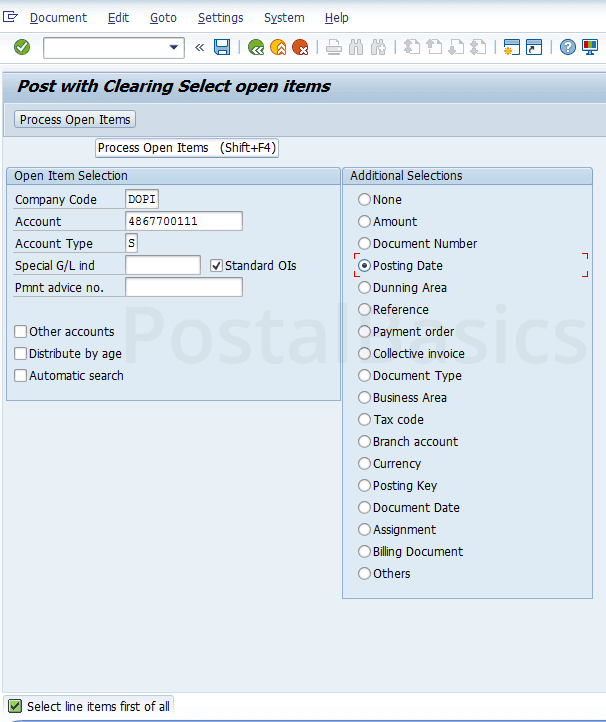 Click on Posting Date and click on Process Open Item. The following window will show up. Here enter the Posting Date. 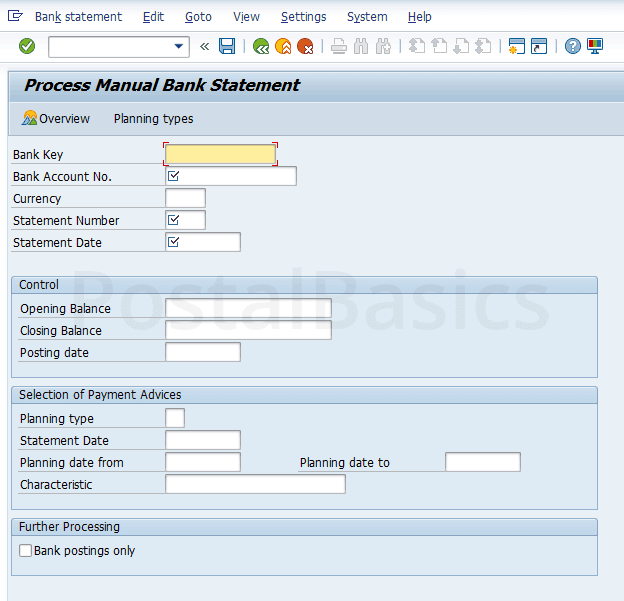 Now, click on Process Open Items. The below window will appear. Here the amount entered will be listed. The receipt amount 80000 is seen here. We have to post it. But before that, click on 1 (select all) and 2 (deactivate). Now, click on the amount in the list (3). So that the Amount Entered and Assigned should be equal(4). Now, click on Save button. The amount Rs. 80,000 will appear green in color which depicts that it has been posted.